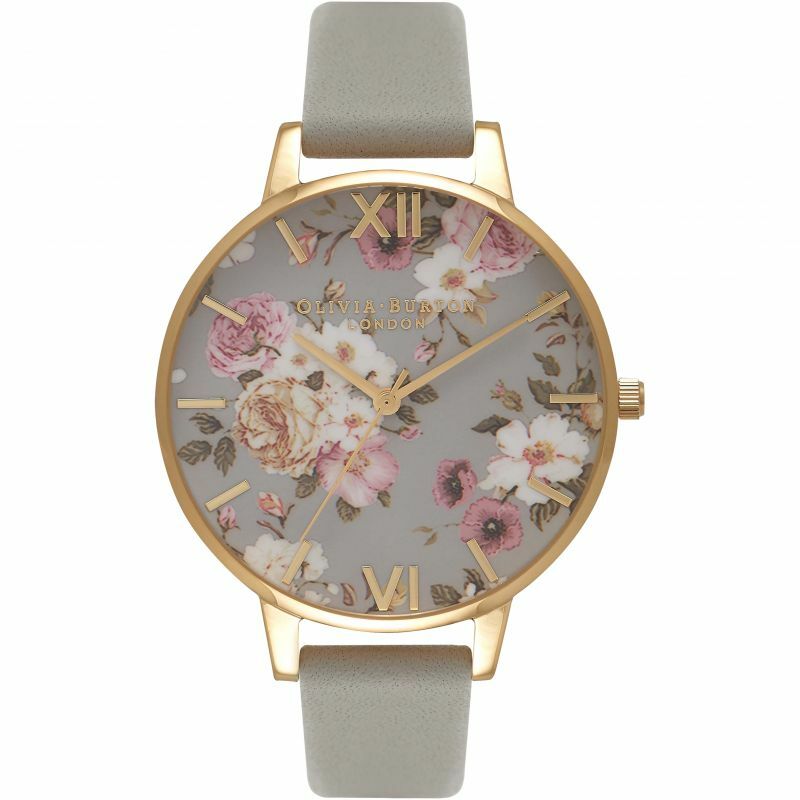 Hand-designed in London, this popular floral-inspired timepiece features a delicately printed 38mm-wide dial that promises to get noticed. Its hand-drawn blooms combine pretty pink, white, apricot and green tones, set against a grey backdrop. A gold-plated case gives the design a luxurious edge, a mood that’s continued by the addition of an ultra-soft grey leather strap.